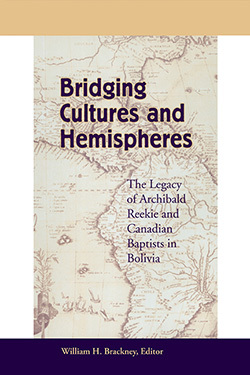 Bridging Cultures and Hemispheres examines the establishment and development of the Canadian Baptist Missions in Bolivia from the perspective of Canadian and Bolivian writers. Canadian Baptists made a major contribution to the establishment of evangelical Protestantism in Latin America. The chief pioneer during this movement was Archibald Reekie (1861-1942). Because of efforts of men like Reekie, there is now a thriving Bolivian Baptist community in partnership with other North American and Latin American Christians. William H. Brackney is principal of McMaster Divinity College in Hamilton, Ontario, where he also teaches historical theology. He has served churches in Maryland, Texas, Pennsylvania, and Canada. 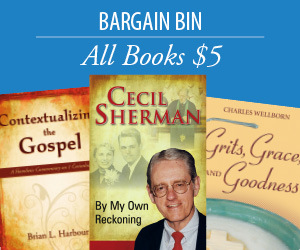 He has taught at numerous universities, and has written and edited for several periodicals. He has received degrees from the University of Maryland (B.A. ), Eastern Baptist Theological Seminary (M.A.R. ), and Temple University (M.A./Ph.D.). He and his wife, Kathryn, have three children, Noel, Erin, and Raphe.